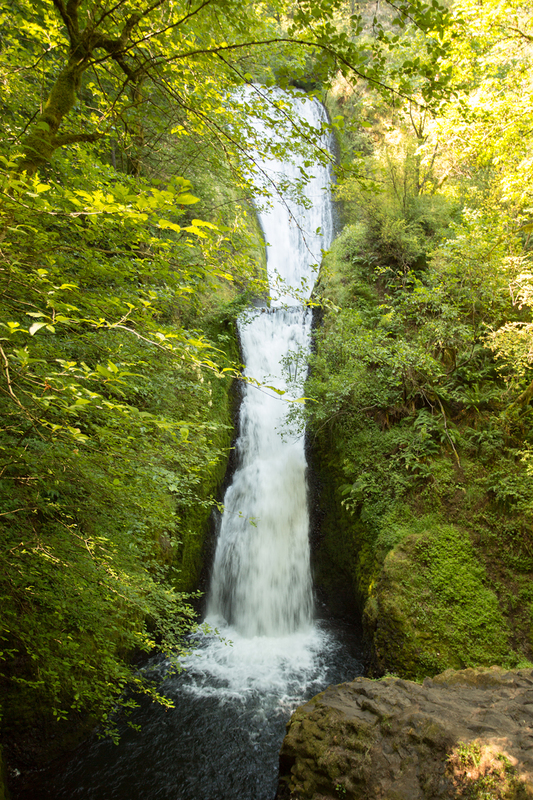 On the second full day that we had in Oregon, Tito and I spent the day waterfall hunting along the Historic US 30. That highway, impressively, actually had too many waterfalls for us to visit in only one go, so we had to pick and choose a bit. 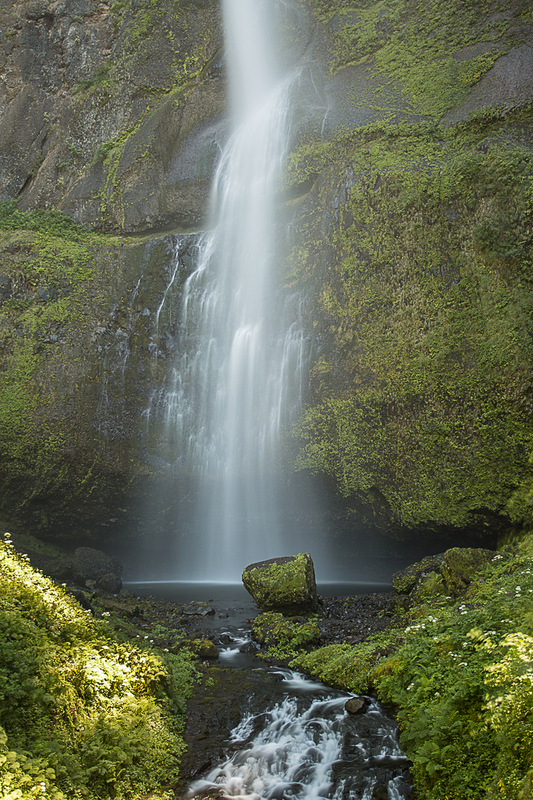 This is Latourell falls, a fairly nondescript waterfall early on in the drive. However, the light that morning was stunning, and our timing was perfect for this gorgeous shot. The morning light is just creeping over the cliff edge and sending its rays down into the valley. 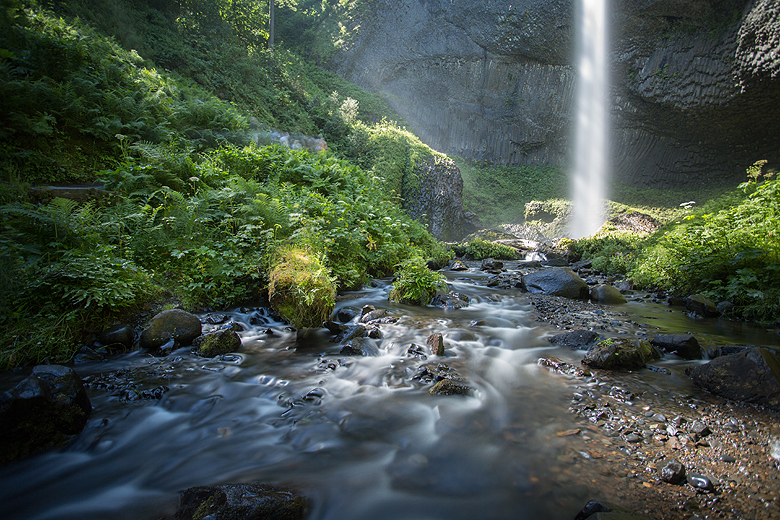 The waterfall itself is illuminated by the sun, which is barely touching the ground. I am standing downstream and using my Lee Filter Big Stopper here to slow down my shutter enough for this shot. 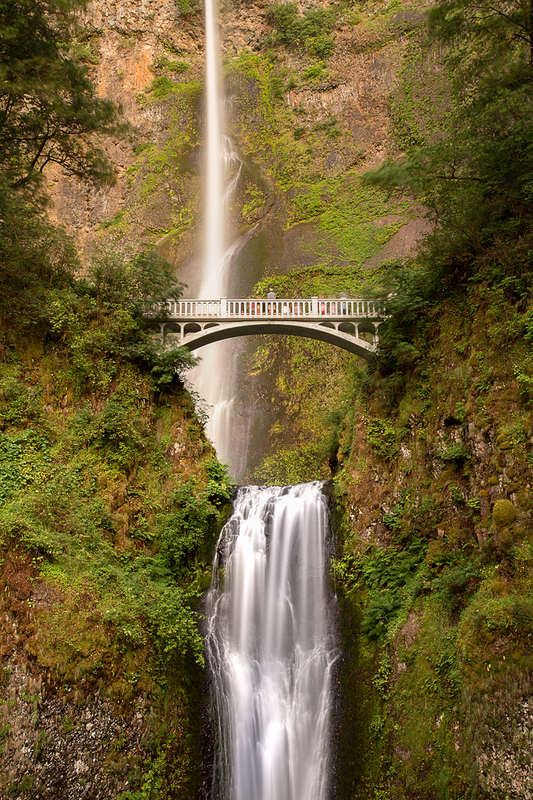 This one, and the two below are from Multnomah falls. It’s a picturesque spot with great hiking, as well as some more touristy things like a restaurant, snack bar and gift shop. 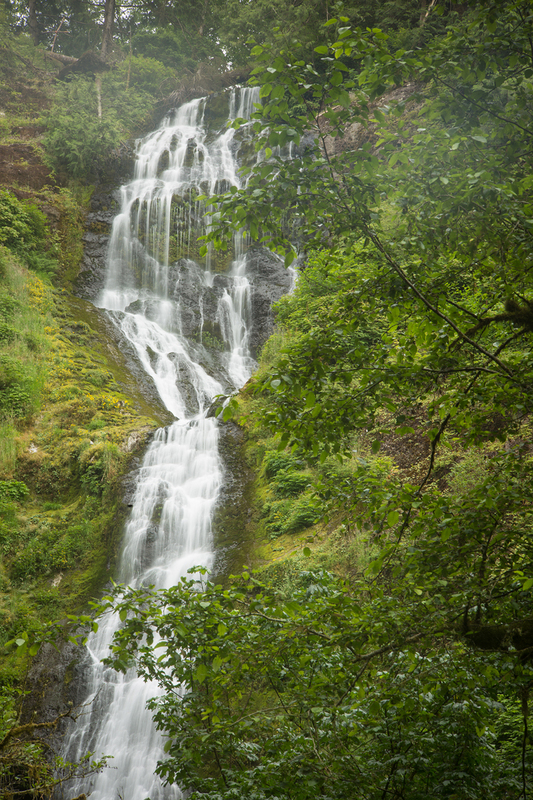 Accordingly, this was the only waterfall where we had to work to find parking, but it was definitely worth it! This shot was taken in the evening light after returning to the falls a second time, so the Big Stopper wasn’t needed to blur the water nicely. 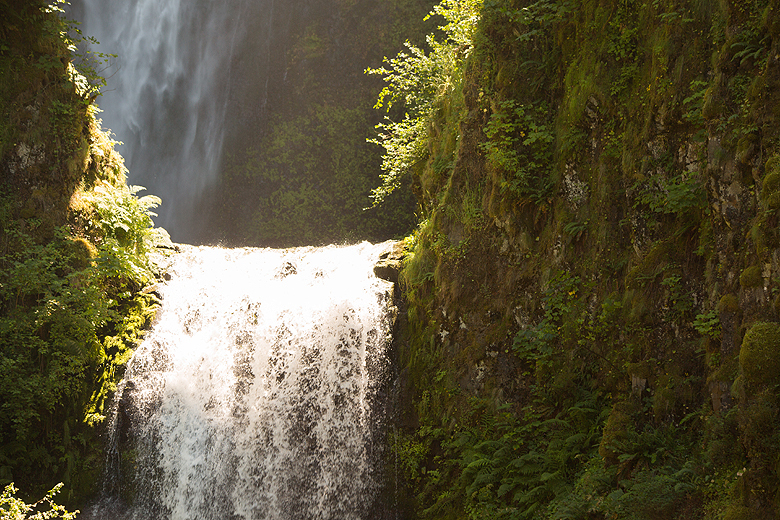 You could spend an entire week in that area alone doing nothing but waterfall studies. We only had a week though, and much ground to cover :) Tomorrow, Knit-Purl, the first leg of my fiber tour! Great shots…. What a great composition in the second image!